In this Sept. 27, 2017, file photo, an Amazon Echo Dot is displayed in Seattle. 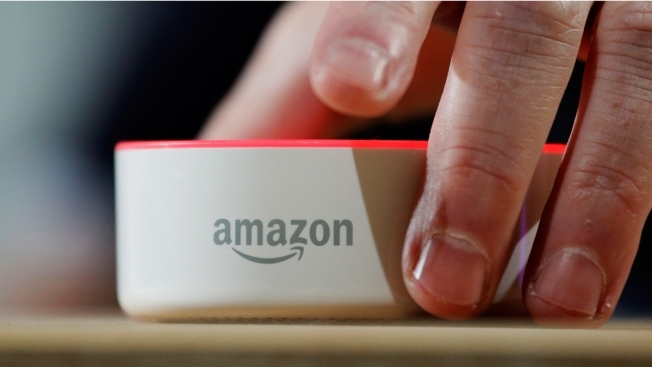 Amazon says an "unlikely" string of events prompted its Echo personal assistant device to record a Portland, Ore., family's private conversation and then send the recording to an acquaintance in Seattle. Most smart speakers have a physical button to disable the microphone, so a private conversation can't be recorded to begin with. You can hit that when you're having sensitive conversations. The button on the Echo will turn red; other devices have similar cues. It doesn't make sense to keep the mic disabled throughout the day, though. If the Echo can't hear you, it won't be able to order you more toilet paper or play smooth jazz. Disabling the microphone isn't practical on a smartphone, but you can limit what apps have access to it. Go to the settings and turn off mic access to all but essential apps such as voice recorders or video conferencing. Netflix doesn't really need voice access; you can simply type the name of the show you're searching for. Facebook CEO Mark Zuckerberg famously puts a piece of tape over his laptop's camera to prevent spying if anyone were to hack his device. Buy yourself a roll. Or use bandages. If you have a home-security camera that's connected to the internet, turn the camera to the wall when you're home. Just remember to turn it back before you leave, or you defeat the point of having a security camera. For smartphones and other gadgets you carry with you, a "Faraday bag" that blocks electromagnetic waves can help prevent unwanted spying. The good ones will block cellular and other signals, meaning privacy-compromising information such as your location won't leak out either. Just remember, your phone won't get any calls while it's in the bag — that's the whole point. Apple, Samsung and other tech companies have worked over the years to ensure that their products work "out of the box," without users having to pore through lengthy manuals and operating instructions. The downside is that users are often unaware of all the things their gadgets can do, good or bad. Checking reputable online reviews, how-to guides and even instructional videos will help you get the most out of new technologies. They'll also tell you about any known glitches and risks.